Ryan Schrift, AIF®, is the Founder and a Financial Advisor at R.J. Schrift Private Asset Management. Ryan earned a B.A. in Accounting from the department of business and economics at Washington and Jefferson College and minored in Philosophy. He moved to Charlotte where he worked with Morgan Keegan & Company leveraging the firm’s resources to improve its clients outcomes. 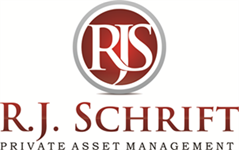 Passionate about individual investors and their personal success, Ryan founded R.J. Schrift Private Asset Management in 2012. He was recognized subsequently as Entrepreneur of the Year in Gaston County. Ryan, who received his Accredited Investment Fiduciary Designation in 2011, manages individual client assets using an evidence based, hands-on, and research driven approach. Having launched his financial career on the eve of the Great Recession, Ryan has been leading individual investors through a changing economy and a changing world for over 10 years. 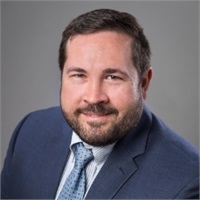 Ryan was recently elected to his second 4-year term as a Belmont City Councilman where he directly impacts a $15,000,000 budget and strategic planning for a small City of 11,000 residents. He has been recognized on both the local and state level by the Junior Chamber of Commerce for assisting in the development of young professionals and has raised hundreds of thousands of dollars for local non-profits. Ryan lives in Belmont, North Carolina with his wife Andrea, 2-year old son Ollie and newborn Lincoln. In his free time he enjoys hiking, mountain biking, spending time outdoors, and serving in leadership roles throughout his community.